UK-based payments vendor Monitise seeks to turn its fortunes around with a new digital payments offering, new COO and a new, re-focused business structure. Banking Technology investigates. The mobile payments vendor has had a difficult few years, partly attributed to growing too big too fast. By 2014, it had to write off £128.5 million in efforts to reshape its model. The cost-cutting exercise continued into 2015. The vendor put itself up for sale in early 2015 but changed its mind a couple of months later, following a strategic review concluding that Monitise should remain independent. The company’s share prices plummeted by as much as 80% and in mid-2015 one of the shareholders, Visa Europe, announced it was getting out. Visa Europe is also a customer on Monitise – but the question is for how long, as the contract is running out this year. 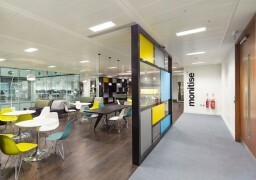 There was a quick succession of CEOs at Monitise too and the departure of the CFO. The current CEO at Monitise is Lee Cameron, who had been with the company in various senior management positions since its inception in 2003, most recently as deputy CEO. 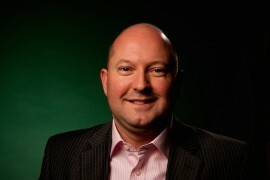 A new COO has now been found – Gavin James, formerly CEO of call-centre operator Vertex Group. James, who is a chartered accountant, has been working with Monitise as an advisor for five months in a “finance function capacity”. The vendor has also cut down its workforce – from 1,000 to less than 300 – concentrating on management hubs in London and San Francisco, with all major development and engineering moved offshore. Monitise has reported a significant reduction in opex and capex as a result, and maintains it is going to be profitable in H2 2016. This has not happened in five years. A recent analysis by a UK-based research firm, Progressive Equity Research, concludes that “although Monitise’s recent history has been somewhat turbulent, the outlook is increasingly bright”. “The new management team (CEO, COO) has re-focused the business on six key product lines and re-energised the organisation, having made significant reductions to the ongoing cost base and capital expenditure requirements,” Progressive Equity says. FINkit. This is Monitise’s newest offering – a cloud-based development platform and toolkit designed specifically for banks and financial services clients. FINkit is built on IBM’s Bluemix platform. There are no takers of FINkit yet, although the vendor is known to be in talks with its existing clients, with one of them doing a proof of concept. IBM is also a partner, and Monitise hopes to get customers via that route. Europe/UK. 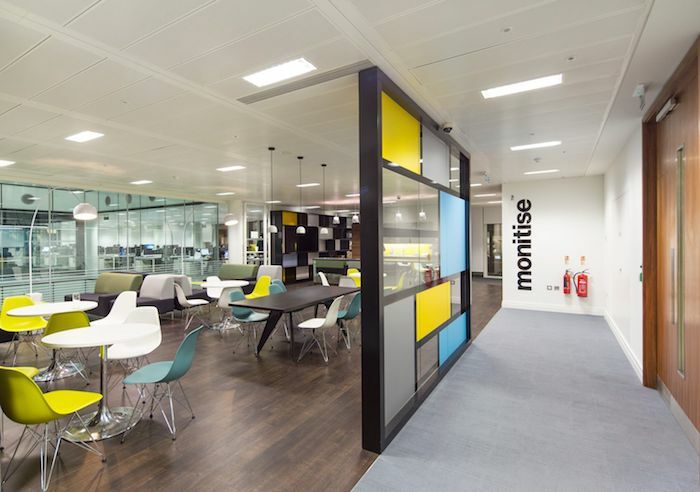 This is Monitise’s stronghold and traditional business ground – it provides bespoke digital banking services to top-tier banks in the UK. The underlying solution is Monitise Enterprise Platform (MEP). Customers here include Visa Europe, the Co-operative Bank and RBS. There are question marks over the RBS hosting arrangements, however, although Monitise has recently made positive public comments on its relationship with RBS. Monitise expects customers to eventually move to FINkit, although there is no deadline and the MEP platforms continues to be supported and developed. Americas/US. The products and services here stem from Monitise’s 2012 acquisition of a Californian mobile banking vendor, Clairmail, and its Vantage Platform. The majority of customers are lower tier banks and credit unions, using Clairmail’s “off the shelf” mobile banking and alerting services tools based on the Vantage Platform. There are about 40 customers overall. There are some bigger names too, such as Sallie Mae, Chemical Bank and Bank of America. Whilst there are currently no plans to sunset Clairmail’s products, Monitise hopes its users will gradually move to FINkit. MEA/Turkey. In 2014, Monitise acquired an Istanbul-based mobile money software vendor, Pozitron. It forms the core of Monitise’s proposition in the region. In the banking sector, customers include the regional operations of BNP Paribas and ING Turkey, and First Gulf Bank. This is the strongest performing business at present, with six new products launched and two new clients signed (one of them is lastminute.com) in H1 2016. Create. A digital design and innovation agency that creates and builds primarily mobile solutions to banks and other entities in the UK and Europe. It stems from Monitise’s acquisition of Grapple Mobile in 2013. Content. A provider of affiliate marketing, tickets and voucher codes – stems from the 2014 acquisition of London-based Markco Media. Its B2C proposition, myvouchercodes.co.uk, is one of the largest voucher code websites in the UK, with over seven million members. Its clients in the B2B2C space include EE and Nectar. Canada is seeing a fresh push to promote near field communication (NFC) services after Canadian cooperative financial group Desjardin signed a deal with mobile money solutions provider Monitise and a joint venture with the nation’s three largest mobile operators.